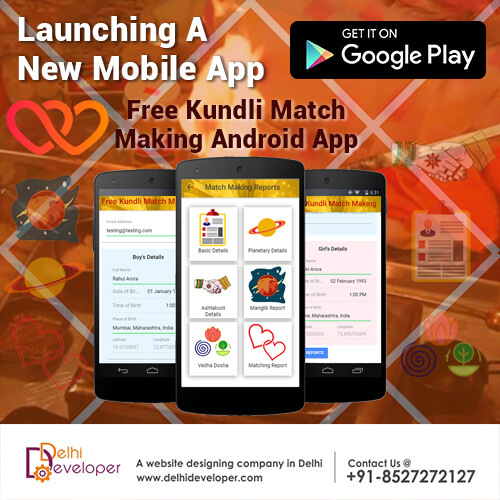 Free Kundli Match Making App is a free Indian Astrology App that contains four different types of predictions namely Manglik Dosha Details, Vedha Dosh Details, Ashtakoot Details & Planetary Details. Using these comparisons this app generates both, a basic comparison report and a complete matching report. This app is completely free and there is no hidden fees or charges.